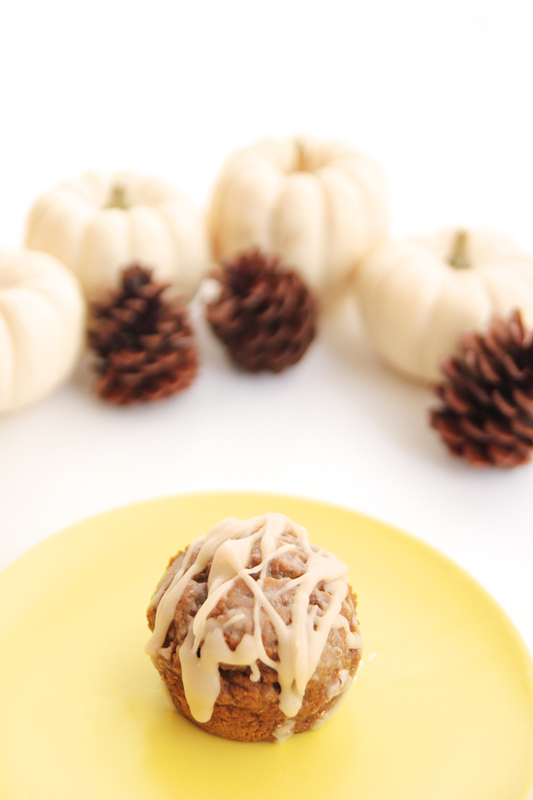 Over the Canadian Thanksgiving last weekend, I baked up some muffins with my favourite fall ingredient: pumpkin. 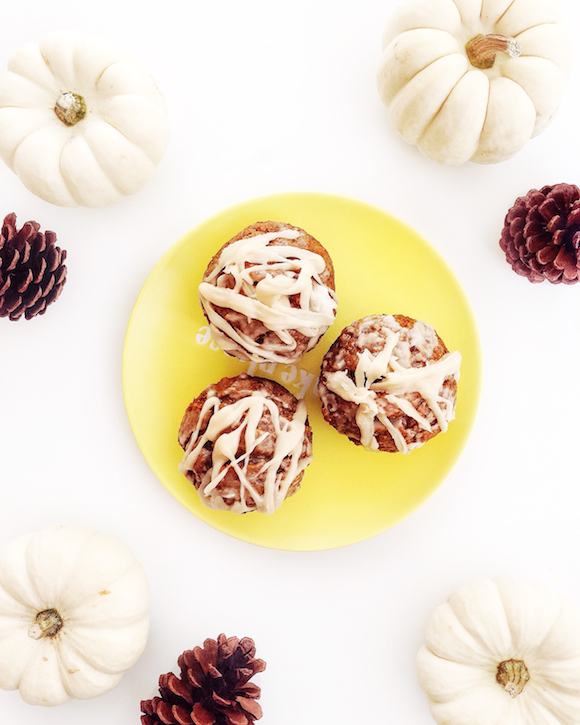 Super moist and yummy, these pumpkin muffins have almost a cake like texture and are drizzled with a thick maple glaze. Oh my glaze -- sticky and syrupy sweet, this glaze is what makes the muffins and is quite literally, the icing on the cake. The muffins itself are pretty healthy and nutritious, so I don’t feel bad going a little glaze crazy. To make them even healthier, I used all whole wheat pastry flour, subbed coconut sugar for white, and used coconut oil instead of olive oil. 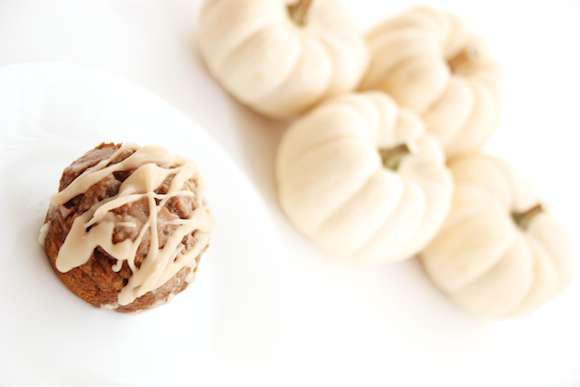 These pumpkin muffins are the perfect little fall treat, as evident by how quickly I gobbled them up.